Very sturdy and aggressive, impression top incline belt used in agricultural applications as well as chemical, fertilizer, and industrial applications. 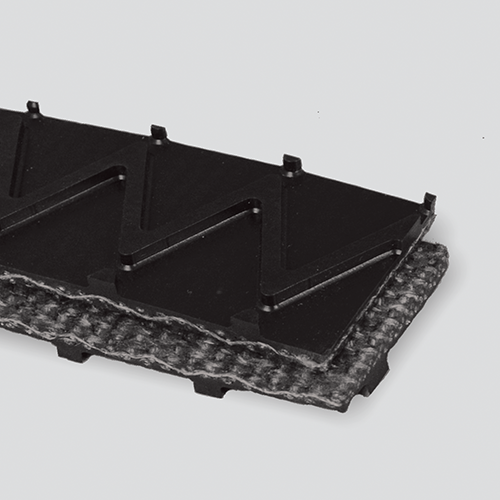 The impression is deep enough to increase load capacity up inclines, but designed in shapes that allow the belt to run smoothly on the conveyor return rollers. Thickness / Overall Gauge: 0.245"